The experience of grief is often explained as following a wave-like pattern and most individuals find that the frequency and intensity of the waves of grief decrease over time. However certain events, like holidays or the anniversary of the loved one’s birthday, the anniversary date of the loved one’s death, or certain experiences such as seeing someone who reminds you of your loved one, can trigger a wave of grief at any time, even years later. Our counselors who specialize in grief and bereavement can help you to understand your grieving experience and help you to begin to understand that, in time, feelings of grief will lessen, even though you may never entirely get over your loss. Grief and bereavement counselors can help you to find ways to comfort yourself, honor your loved one and create new memories. It is important to understand that the grieving process is different for everyone and that there is no predictable, prearranged schedule for grieving. Although grieving can be painful and uncomfortable, the grieving process should be honored and not rushed. 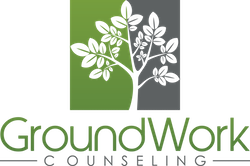 GroundWork’s grief and bereavement counselors in Orlando can help you to be patient and kind with yourself as you experience your unique response to the lose of your loved one. With the right support, things do begin to get better after some time.